How is Data Science Disrupting the Healthcare Landscape, Modernizing R&D, and Enhancing Access Models ? John Baldoni, PhD is Senior Vice President, DPU Head, ln Silico Discovery at GSK Pharmaceuticals. Prior to this, he was Senior Vice President, Platform Technology and Science (PTS), in GSK. 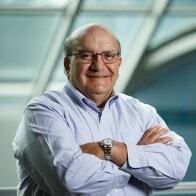 Dr. Baldoni joined GSK in 1989 and has worked in the pharmaceutical industry for 37 years. His experience spans new chemical entity design, development and commercialization, and biopharmaceutical development. In progressing to his current role, he has held various positions at GSK including Senior Vice President, Preclinical Development; Vice President, Product Development; Director, Product Development; and Assistant Director, Biopharmaceutical Formulation Development, among others. He has led several key cross-functional strategic initiatives, such as advanced manufacturing technologies and discovery modernization. 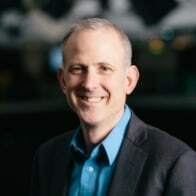 Michael Ringel, PhD, JD, is Senior Partner & Managing Director in BCG’s Boston office, as well as BCG’s Global Topic Leader on Research & Development. He has worked for a range of biotech and pharmaceutical clients on topics such as disease area strategy, transformation and process optimization, sourcing/partnerships and organizational design, as well as M&A/licensing strategy, valuation and post-merger integration. Dr. Ringel is also concurrently the Head of Business Development for Life Biosciences, a biotechnology company focused on aging and age-related diseases. Prior to these roles, he worked in academia, pursuing research in theoretical population dynamics and conducting field experiments in the Amazon basin near Manaus, Brazil. Troy leads strategy for Janssen R&D, a 12,000-person global organization with a $7B annual R&D investment. His focus is on transforming capabilities to enable the current and future pipeline and includes multiple specific areas including data science, R&D areas of focus, R&D geographic footprint, and other areas of innovation. As a core member of the Janssen R&D Senior Leadership Team, Troy serves as a key partner to the Global Head of Janssen R&D and the entire R&D SLT. Troy leads multiple projects and a high-performing team of experts focused on ensuring that the Janssen R&D strategy will lead to the continued long-term success of Janssen. Over a 20+ year career in the pharmaceutical industry Troy has worked across the product lifecycle with significant experience in early and late stage clinical development, life-cycle management programs, health authority and payer interactions and policy, randomized pragmatic trials, digital technologies, real world evidence (RWE) and data science. 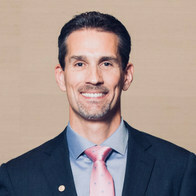 Prior to his current role, Troy was Vice President, RWE, Janssen Scientific Affairs, where he was responsible for building industry-leading RWE capabilities in the Janssen North America Pharmaceuticals Organization. He and his team built a RWE department to significantly advance the organization’s RWE capabilities and evidence generation activities to better provide evidence of the value of our products to payers, providers and patients. He also co-led a major global Janssen-wide RWE initiative and chaired the Janssen Global RWE LT. Prior to that, Troy was Vice President, Compound Development Team Leader for XARELTO®, one of the largest clinical development programs in history and major new medicine for patients. Troy led the team through late stage clinical development, regulatory approval of 6 initial indications, launch of the EXPLORER life-cycle management program and post-marketing RWE generation. In 2017, Troy was a recipient of the prestigious Johnson Medal Award as part of the XARELTO® Team efforts to bring this innovative medicine to patients. Prior to that, Troy worked on the early clinical development of INVOKANA®, as well as on several other new molecular entities in the cardiovascular and metabolic disease therapeutic areas. For the first nearly 8 years of his industry career, Troy worked at AstraZeneca as a clinical pharmacologist in both the EU and US across early and late stage programs. Externally, Troy is a member and immediate past Chairman of the Board of Directors of the Research & Development Council of New Jersey. He also recently served as a member of the National Pharmaceutical Council Research Work Group and the National Academy of Medicine Clinical Effectiveness Research Innovation Collaborative. Troy earned his B.Sc. in Pharmacology & Therapeutics and his Ph.D. in Clinical Pharmacology from the University of British Columbia. He has published more than 80 papers and abstracts over his career and has presented nationally and internationally. 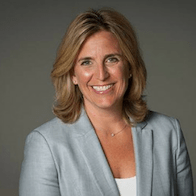 Julie Schiffman, MBA, is Vice President of Global Business Analytics at Pfizer, where her team provides advanced analytics support to over 50 markets, 150 brands, and 125 development programs. She is also been Vice President of Portfolio & Decision Analysis at Pfizer and has been Director of Early Commercial Development. Previously, she was Senior Manager at Deloitte Consulting.